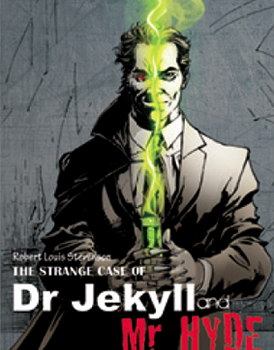 I originally read Strange Case of Dr Jekyll and Mr Hyde over a decade ago, but only while reading Campfire’s comic adaptation of Robert Louis Stevenson’s Victorian morality tale did it occur to me just how difficult a book it must be to adapt. 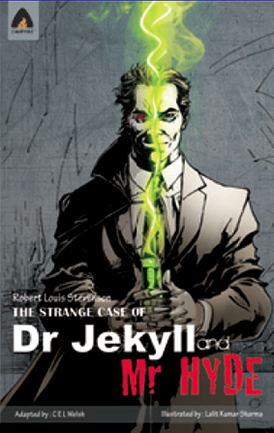 Much of this is due to the novella’s story-within-a-story framework; whereas many film adaptations have retold the tale from Dr Henry Jekyll’s perspective, the original novella follows the investigative efforts of lawyer Gabriel John Utterson, whose quest to track down violent deviant Edward Hyde yields a startling conclusion. Of course, some 120 years after Stevenson’s seminal work debuted, it’s common knowledge that Jekyll and Hyde transpire to be the same person, the divorced good and evil psyches of a once balanced individual. But it’s to the credit of CEL Welsh, who scripts this particular adaptation, that Campfire’s version of Dr Jekyll and Mr Hyde works well in graphic novel form. 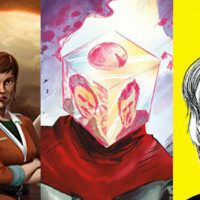 It also helps that the novella’s final act, which is narrated by a dying Jekyll in the form of a farewell letter, is perfectly suited to the comic medium. Campfire’s books are aimed at younger readers, which you might think would require censorship of Hyde’s contemptible actions, but in fact Stevenson’s original only vaguely hinted at the naughty business Jekyll’s alter ego got up to at night. The book also contains a feature on several real life mad scientists such as Ilya Ivanovich Ivanov and Harry Harlow, whose experiments were far more disturbing than anything a fiction writer could come up with. Lalit Kumar Sharma’s illustrations would have been great were it not for a single anachronistic error in his character designs that niggled at me throughout. Bizarrely, Utterson is depicted wearing a raincoat and fedora outfit that make him appear to have stepped straight out of a Raymond Chandler movie. According to Wikipedia the fedora originates from the 1890s (the novella was first published in 1886) as a woman’s fashion accessory, and did not become mainstream male apparel until the 1920s. No other character dresses like Utterson, which makes his dress sense all the more incongruous. And it’s a shame, because otherwise this is a nice looking book, and the costumes and landscapes capture the look of the period. Lalit Kumar Sharma nails the physical difference between Jekyll and Hyde, only gently warping his facial features so that both characters are still recognisable as two sides of the same coin, and the inkwork by Jagdish Kumar also keeps the visuals in line with the Victorian setting. The fedora issue aside, this isn’t by any means a bad attempt at translating Stevenson’s source material into something kids might want to pick up. Campfire’s adaptation doesn’t dumb the story down, and while this effort is obviously no substitute for Stevenson’s novella, it’s a faithful and engaging enough iteration to aim teenage readers towards Stevenson’s other works.